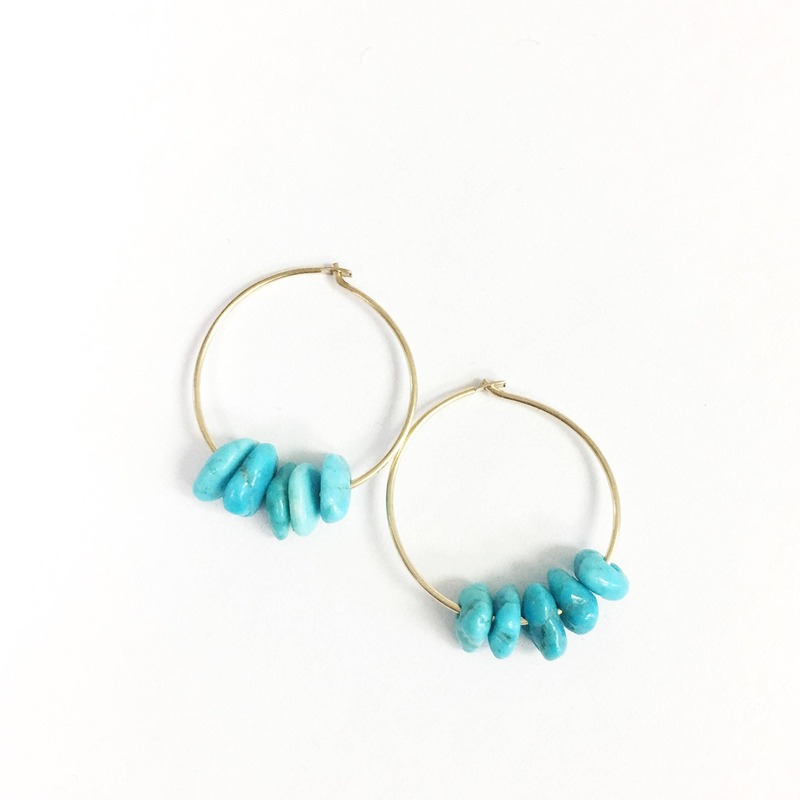 Our turquoise cluster hoop earrings are perfect for your everyday boho style!! - 5 Kingsman Arizona genuine turquoise nuggets . Just got my earrings and they are so beautiful!!! The hoops are smaller than I expected which is actually a good thing. The turquoise is bright and beautiful. I'm so excited to wear them! 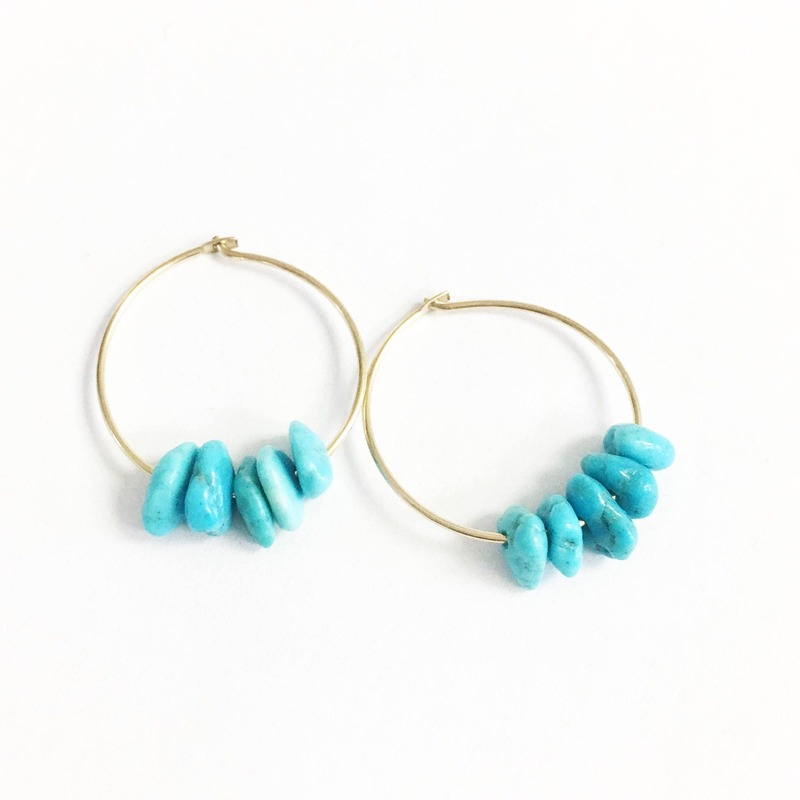 These turquoise nugget hoops are dainty, cute, and very nice. They arrived very quickly, along with the spike drop hoops I also purchased. Beautiful earrings, sometimes hard to clasp but I get tons of compliments! 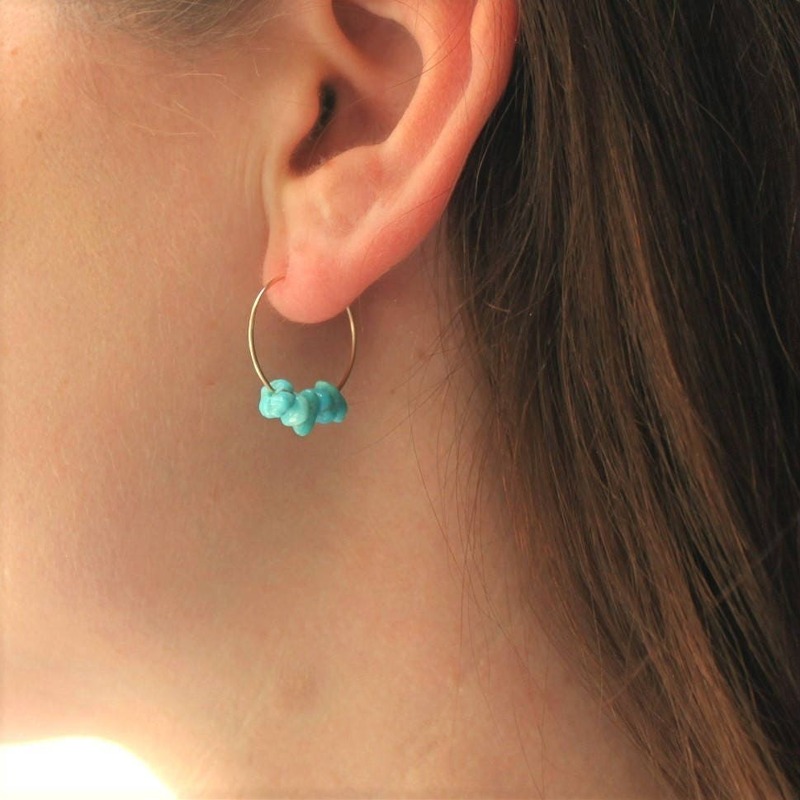 earrings are simple but stunning,i love them.